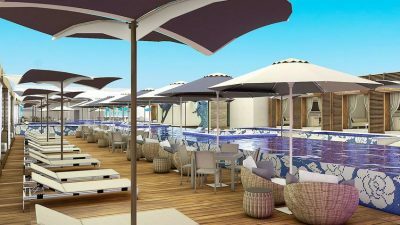 One of the newest resorts in Cancun, Breathless Riviera Cancun Resort & Spa is a chic, adults-only resort. It features a unique layout with three separate buildings, each of which has its own style and atmosphere. The xcelerate section is designed for guests looking to party, the xhale section is geared toward relaxation, and the energy center is for fitness-focused guests. The resort has three pools with attached whirlpools, including a main social pool and a designated activities pool. The resort’s all-inclusive package, called “Unlimited Luxury,” covers food and drinks, as well as a variety of entertainment and activities. The diverse activities line-up is a highlight of this resort, with beach volleyball, Spanish classes, aerobics, and dance classes just a few of the things for guests to try. The resort offers access to a lovely white-sand beach, where kayaking, paddle boarding, snorkeling, and windsurfing can be enjoyed. Horseback riding, golf, and fishing can be arranged for extra fees. In the evening, the resort’s theater hosts music and other live performances. There are also themed parties and movie screenings on the beach. 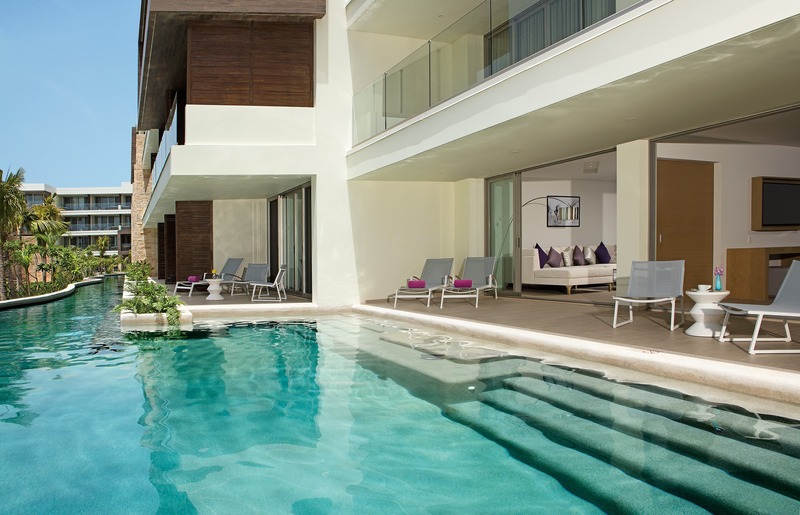 Sophisticated suites feature furnished balconies with garden or sea views, with some offering direct pool access. Mini-bars, flat-screen TVs, and bath products by Gilchrist & Soames are standard. The xhale club junior suites include extra perks like access to a private club pool and free afternoon snacks. The nine restaurants have communal tables, which are meant to encourage guests to socialize and get to know one another. Dine at a traditional chabudai table in the resort’s pan-Asian restaurant, or enjoy Middle Eastern specialties at Kibbeh. The beautiful spa has a hydrotherapy circuit that includes a steam room, a sauna, and a whirlpool bath. Some of the distinctive treatments available here include wine therapy massages, sea salt exfoliations, and chocolate body wraps. For more information, visit Breathless Riviera Cancun Resort & Spa’s website.